Buying from a reputable breeder gives you the opportunity to interact with the pets family, siblings, dam, also possibly the sire. You can, therefore, form a general impression of what the future holds for the pet you take home. A responsible breeder is a good source for a well-bred, healthy pet. The breeder will carefully select the parents to emphasize desirable attributes and minimize faults in their progeny. Some people breed animals only to produce pets to sell. These individuals have no regard for the advancement of that breed; they are motivated solely by profit. Responsible breeders will never breed without considering the advancement of the breed. Each generation should improve the quality of breeding stock, resulting in healthy animals with improved breed soundness- that is, physical and mental health- that are an advancement toward the ideal. Another good reason to buy from a breeder is that gives you the opportunity to interact with the pet's family, siblings, dam, also possibly the sire. You can, therefore, form a general impression of what the future holds for the pet you take home. 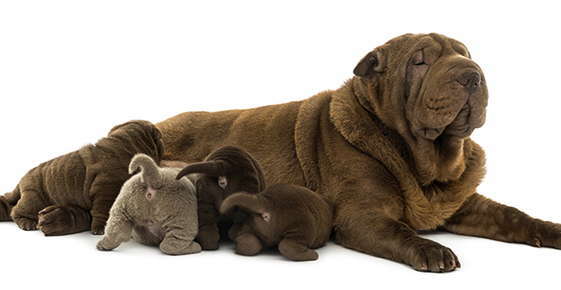 Buying from a breeder means that you are part of an extended family. Most breeders expect a call if the pet has a crisis at any stage in its life, so they can help you understand and cope with the problem. This can be especially comforting for the first time pet owners who can't even imagine what kinds of questions they'll have in the future. Visit as many breeders as possible for your breed. Examine the premises to make sure they are clean and that the animals appear to be well cared for. Pets should be clean, well fed, lively and friendly, without any signs of illness such as runny nose or eyes, skin sores, or dirty ears or fleas.